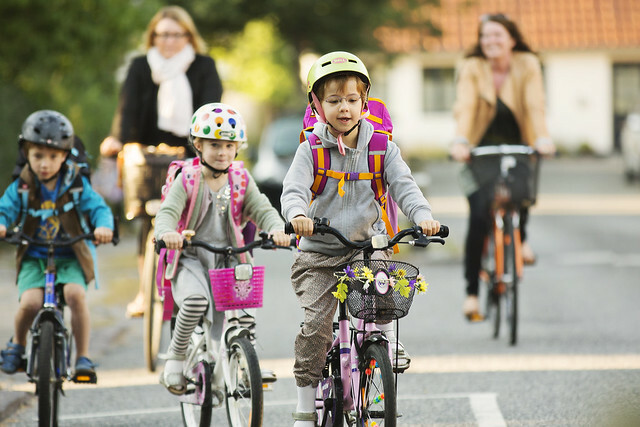 According to new data from Statistics Denmark, 96% of the Danish population thinks more should be done to give more children the opportunity to bike in Denmark. The e-bike lends a helping hand to get uphill. Riding an e-bike can be a bit tricky, however, so a group of Danish bicycle organizations have compiled 10 useful tips before you buy and do your first ride of constant tailwind. Not only does cycling to work give you great legs. A new study shows that commuter cyclists also eat healthier, smoke and drink less, and in general feel less stressed. A project by the Danish Cyclists’ Federation and the DaneAge Association has studied the factors that make people aged 50+ stop cycling, and what can be done to make them start again.